Are you hoping to redesign the look of your land? Whether you're a residential homeowner or a licensed office building owner, you probably want some say in the design and beauty of your property. Making your garden, lawn, flower baskets and treeline look presentable will not only gain you some attention in the neighborhood but could also invite guests and customers to come inside. 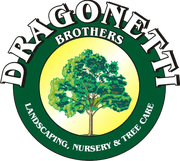 Dragonetti Brothers Landscaping is the perfect go to for Brooklyn landscape design. Whether you're looking to restore, alter or modernize your landscape and property, we've got you covered. We also provide additional services beyond your typical landscaping, such as snow removal and gardening. Customers are always at the forefront of our mind at Dragonetti Brothers Landscaping. We dedicate our work to make their landscaping dreams reality and provide the efficient service they expect. Our professional landscapers are licensed and insured, prepared with the knowledge they need to get the job done promptly. This preparedness includes making sure our team has little interference with the daily routines of each customer. We provide many landscaping services throughout Brooklyn. We offer design and construction to both residential and commercial customers, arranging and installing the property to their liking. Set up a schedule for routine maintenance, and we'll be there to keep your property in the perfect shape. Consultations are where we begin in the planning and designing of your landscape dream. We'll go over the visual look of your area, your budgeting needs and the project timelines you're considering. Our team will get to work on creating visual designs that meet all of your requests and are both operable and feasible regarding the area and dimensions of your space. At Dragonetti Brothers Landscaping, we're on top of all the recent trends with landscaping, including materials to use and plant life to add to your property. No matter the proportions of your business or the levels of difficulty included in keeping your property looking fresh, our team of landscapers will regularly update your landscape design between March and December. Commercial landscapes can range in sizes while gardens can be in the yard, on a rooftop or on a terrace. A sampling of our maintenance service includes spring cleanup, lawn mowing, fertilizing, mulching, plant pruning and getting lawns ready for winter weather. Our team provides additional services that go beyond a typical landscape design project. Our tree removal process in Brooklyn can apply to either small shrubs or large, dominant oaks and other trees. If you prefer to have a year-round bloom in your garden, we can match your request with a florist who knows the best plants for the weather and planting conditions. We also offer snow removal for commercial properties, keeping your lots clear to invite customers in even when the weather gets rough. If you're ready to invest in landscaping installation and maintenance for your home or business, contact Dragonetti Brothers Landscaping today. We can answer all of your questions and plan a specific time to meet and consult. You can also easily schedule a free estimate for your design plans.